Golfers love the pristine, challenging and historic courses throughout the city and art-lovers enjoy the Orlando Museum of Art, Mennello Museum of American Art as well as a number of small, funky galleries and art studios sprinkled throughout the area. Orlando is a place known for hospitality, and that extends to its many hotels, spas and services that suit every budget and taste. 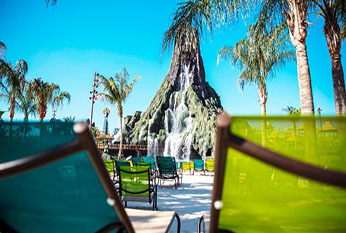 Parents appreciate some of the amenities offered at the Disney-area accommodations, such as five-star fine dining restaurants, luxurious spas and serene rooftop pools. 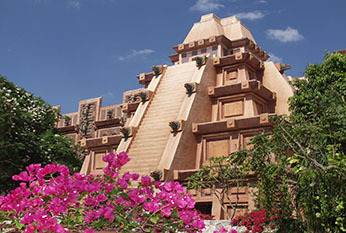 And kids love themed hotels that highlight animals, costumed characters, rock ‘n’ roll, princesses and more. If you’re looking for quirky, interesting things to do in a half-day, afternoon or evening, Orlando has a number of fun spots that make for great memories and neat stories. Madame Tussauds Orlando has a dazzling assortment of lifelike wax celebrities and the Great Escape Room is part scavenger hunt, part mind-game as groups and families work together to get out of an enclosure with hidden passageways and trap doors. 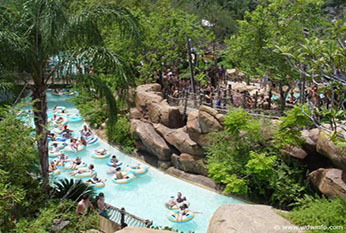 Hit one of the many water parks to cool down or spend an air-conditioned afternoon inside the Orlando Science Center, the Orlando Fire Museum or the National Vietnam War Museum. For an incredible view of the city from a glass capsule, visit the 400-foot Coca-Cola Orlando Eye on International Drive, which is also near several great shops, restaurants, bars and galleries. One of the coolest spots in town – quite literally – is ICEBAR Orlando, which features a below-freezing room with a bar entirely carved from ice and a full menu and dance floor in the warmer adjacent room. Craft beer enthusiasts will love trying the organic beers at Orlando Brewing or special-batch brews at one of the dozens of breweries and taprooms, many of which also have excellent menus offering everything from wings to vegan dishes to fancy oysters and sustainable seafood dishes. 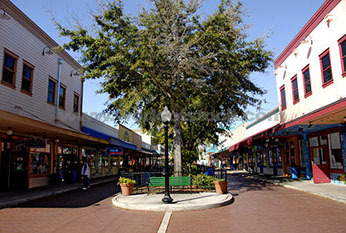 Orlando has several parks and lakes that are great for relaxing, exercise and adventure. Rent a paddleboard or paddleboat, soar over the city in a hot air balloon, picnic under an old oak, spot dolphins on a boating day trip, swim with manatees and pet a sloth at the Exotic Animal Experience. There are several water sportcenters if you’re looking to try waterskiing or jet skiing, or for an even bigger thrill, try parasailing or sky diving. There’s no limit to the many adventures and exciting times that await in Orlando, a city that’s inspired by dreams and wonder. For many children, there are few things in life that are more thrilling than the prospect of a trip to Disney World. To young eyes, the park is full of magic, excitement and familiar characters brought to life, so it’s no surprise that each year parents from all over the world like to treat their children to a trip there. Where Disney World succeeds, however, is by branching out so that it has something to appeal to young kids, big kids, and everyone else’s inner child. For smaller children, the constant presence of Disney characters walking around, Disney themed shows and gentle rides equals a holiday in heaven. More adventurous visitors to the theme park can avoid the “It’s a small world” types of rides and opt instead for the bigger, scarier roller coasters. Alternately, anyone with a thirst for knowledge can check out Epcot to try some hands-on science and explore the world around them. 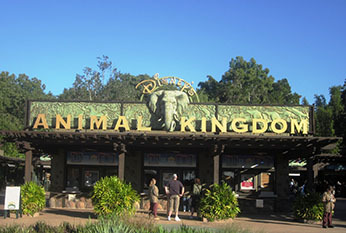 After that, the whole family can enjoy the Animal Kingdom Park which combines rides and wildlife for a thrilling mixture of safari and adventure. 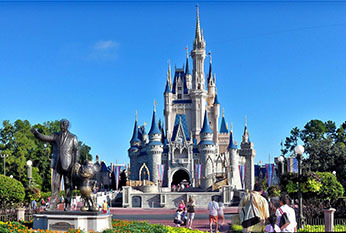 Disney World is located in an area that is simply bursting with theme parks, so visitors often choose to cover all bases in one big, adventure-packed trip. 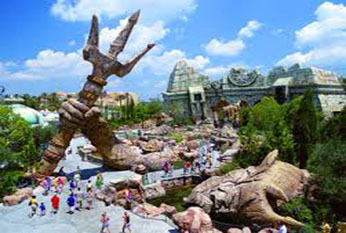 Anyone with an interest in film (or even just a love of theme parks) is bound to enjoy Universal Studios, which balances interactive experiences which give visitors insight into the film-making business with genuinely hair-raising rides and rollercoasters. Big rides like The Incredible Hulk and Jurassic Park will appeal to those with a taste for adrenaline, whilst Harry Potter enthusiasts can now explore the Wizarding World of Harry Potter and indulge their magical fantasies. Florida is also home to Sea World Orlando, where families can meet all manner of sea creatures and take in a few shows whilst they’re at it. 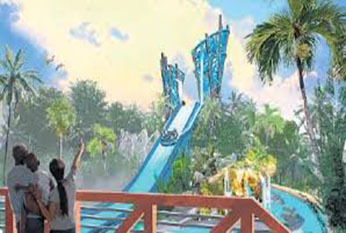 Theme park with movie-themed rides The Universal Orlando Community, commonly known as Universal Orlando, formerly Universal Studios Escape, is an American theme park and entertainment community complex based in Orlando, Florida. Future World & World Showcase theme park Crowds flock to this educational Disney theme park to explore the future & other countries. Movie-themed park with shows & rides Disney’s Hollywood Studios is a theme park at the Walt Disney World Community in Bay Lake, Florida, near Orlando. 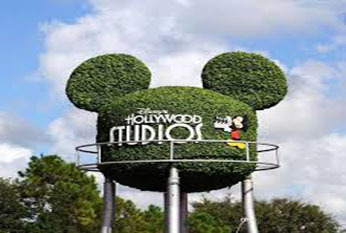 It is owned and operated by The Walt Disney Company through its Parks and Communitys. Aquatic theme park with shows & rides SeaWorld Orlando is a theme park and marine zoological park, located near Orlando, Florida. It is owned and operated by SeaWorld Parks & Entertainment. Roller coasters & other attractions Extreme thrill rides & the Wizarding World of Harry Potter attract crowds to this Universal park. 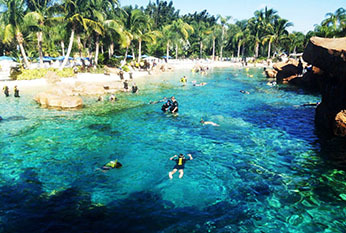 Swimming with dolphins & snorkelling spot All-inclusive park with dolphin encounters, snorkelling with rays, bird feeding & a lazy river. Swimming area with oceanlike swells All-ages Disney attraction is a beach-style swimming area with gentle waves & high swells. 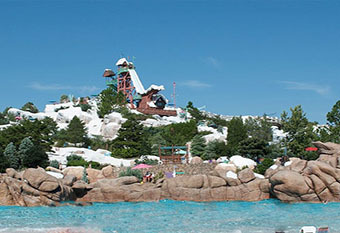 Waterslides, a lazy river & a snow theme Big aquatic playground with a snowstorm theme features a lazy river, waterslides & a kids’ zone. Theme park with food, shops & rides Amusement park featuring old-time carnival rides, shopping, dining & weekly classic car shows.